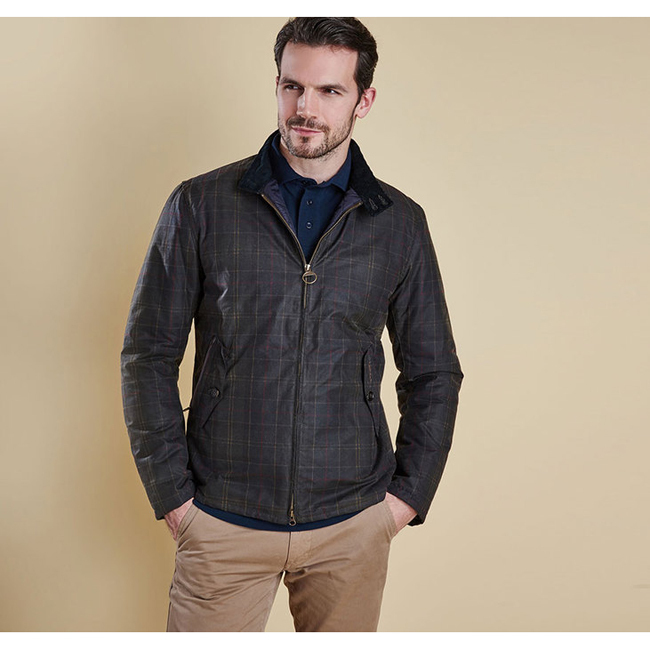 This Harrington-style men's wax jacket features a subtle version of Barbour's signature Classic Tartan to the outer. Other details include an exposed front zip, a two-button collar fastening and a lightweight quilted lining. A great rain coat. I live in New England where the weather can be all over the place. I went a size up so i could still wear a sweater/hoodies underneath and it's perfect.